Scores 21 Highway MPG and 15 City MPG! 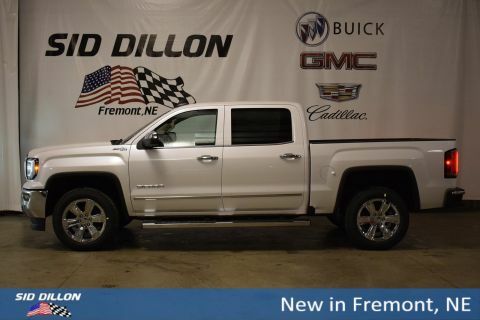 This GMC Sierra 1500 delivers a powerful engine powering this Automatic transmission. 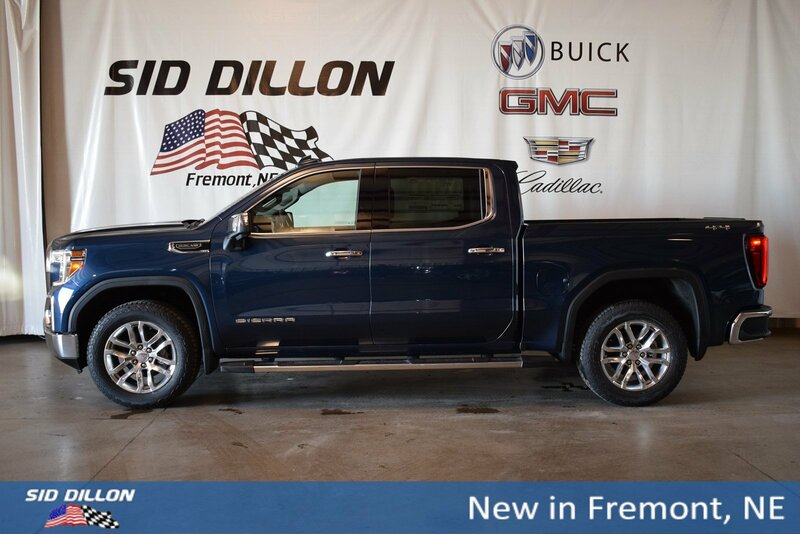 SLT PREMIUM PACKAGE includes (PCY) SLT Convenience Package and (NZM) 20 Polished aluminum wheels; Crew Cab models also include (BVT) Chrome assist steps, Double Cab models also include (VXH) 6 rectangular chromed tubular assist steps, LPO., SLT CONVENIENCE PACKAGE includes (A50) bucket seats with (D07) center console, (KQV) ventilated front seats, (A48) rear sliding power window, (UG1) Universal Home Remote, (MCZ) 2 USB ports with auxiliary input; Crew Cab models also include (KA6) rear heated seats, MAX TRAILERING PACKAGE includes 9.76 rear axle, (GU6) 3.42 axle ratio, enhanced cooling radiator, revised shock tuning for increased control, heavier duty rear springs, increased RGAWR and (KW5) 220-amp alternator, DRIVER ALERT PACKAGE I includes (UD5) Front and Rear Park Assist, (UKC) Lane Change Alert with Side Blind Zone Alert and (UFG) Rear Cross Traffic Alert (Includes Perimeter Lighting. Includes (V76) recovery hooks on 2WD models. , WINDOW, POWER, REAR SLIDING WITH REAR DEFOGGER, WHEELS, 20 X 9 (50.8 CM X 22.9 CM) POLISHED ALUMINUM, USB PORTS, 2 (FIRST ROW) LOCATED ON INSTRUMENT PANEL, UNIVERSAL HOME REMOTE, TRANSMISSION, 8-SPEED AUTOMATIC, ELECTRONICALLY CONTROLLED with overdrive and tow/haul mode. 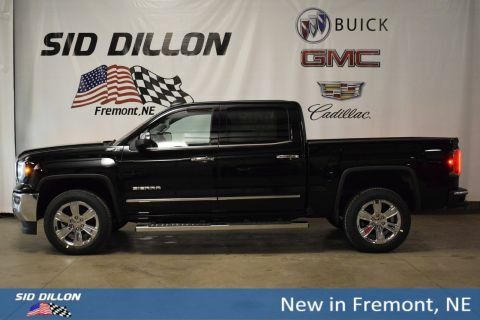 Includes Cruise Grade Braking and Powertrain Grade Braking (STD), TRAILER TIRE PRESSURE MONITOR SYSTEM includes module and set of 4 sensors..